What Ever Happened to WYSIWYG? Home > Blog > What Ever Happened to WYSIWYG? 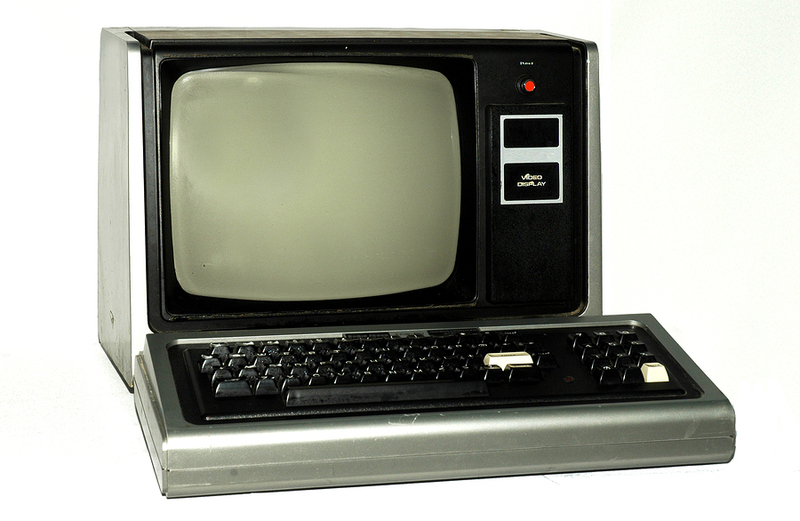 If you were around in 1971, your first exposure to the concept of “What You See is What You Get” (abbreviated WYSIWYG) may have been the hit R&B single by The Dramatics titled “Whatcha See Is Whatcha Get.” But when the personal computer revolution happened in the 1980s, WYSIWYG (pronounced “wizzi-wig”) took on a whole new meaning having to do with how humans interacted with machines. In the earliest days of PCs, what you saw was hardly ever what you got. If you ever logged onto a mainframe computer in the early 1980s, or had one of the first home computers, you can attest that what you saw was definitely not what you got. You might input a document or some lines of programming code into an editor where the screen bore some resemblance to what you were typing, but didn’t look exactly like it. It required somewhat of a leap of faith. If you were lucky enough to have a WYSIWYG editor back then, you could see on the screen what your finished document would look like. That’s something we expect at a minimum today, but 30 years ago it was a luxury. The concept carried over once the internet came into being, only then it had to do with designing web pages where you could see what the end product would look like. Again, with templates and platforms like WordPress, it’s a concept we take for granted now. But the concept still applies in terms of some aspects of humans interacting with machines. Today it’s far easier to make something on a screen look exactly like a document, picture, or printed form. The reason WYSIWYG still matters in an always-connected world is that there are still manual workflows that are being transitioned into automated, electronic workflows. Say you have had a mail order business for years that you want to expand into e-commerce. WYSIWYG means that you can create online versions of your printed order forms that look exactly like them. That way, if a customer chooses to order online instead of by mail, he or she will be presented with a familiar form, and the transition will be straightforward. The same is true when you translate paper forms used at work into electronic survey forms and workflows: WYSIWYG is best. If you are interested in automating workflows and turning manual forms into electronic forms, you should expect no less than a WYSIWYG experience, and you shouldn’t have to understand programming code to get it. Nor should you have to hire a programmer to create electronic forms that look exactly like the paper ones everyone is used to. No programming experience? No problem with today’s sophisticated workflow creation software. Form software is available that lets you create electronic versions of your paper forms that look exactly like them, right down to the fonts and colors. And the best part is you can create these electronic forms on a “blank canvas” interface by dragging and dropping form elements into place precisely where you want them. Multiple forms can even be linked together into automated workflows. Suppose you’ve been doing expense reimbursement with paper forms that have to be handed off to each person in the workflow before a reimbursement check is cut. What if you could make a WYSIWYG electronic version of the entire workflow? The person requesting reimbursement could then fill out a form online (where handwriting and spilled coffee aren’t problems), and upon completion, automatically submit it to the next decision-maker. It’s significantly faster, far less error-prone, offers great visibility into the process, and allows the automatic creation of an audit trail should a transaction have to be revisited later. PerfectForms is WYSIWYG electronic form software that allows non-technical users to create pixel-perfect forms through an intuitive drag-drop interface. Moreover, multiple forms can be linked into electronic workflows that save significant time and money. Any form-based workflow, from requesting building keys to reporting IT troubles can be seamlessly translated from manual to automated, and you don’t have to be a programmer to do it. We invite you to read some of our case studies to get a clear idea of just how many advantages electronic workflows have over manual ones. There’s absolutely no reason your business can’t enjoy the benefits of WYSIWYG forms and workflows, because PerfectForms makes it easy. This entry was posted on Monday, March 7th, 2016 at 3:45 am	and is filed under Form Automation Category. You can follow any responses to this entry through the RSS 2.0 feed.